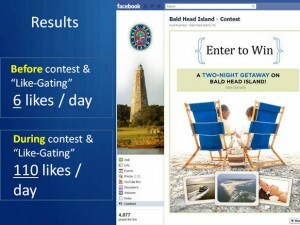 Case Studies: Facebook Like-Gating (Fan-Gating) Does It Work? We think so. 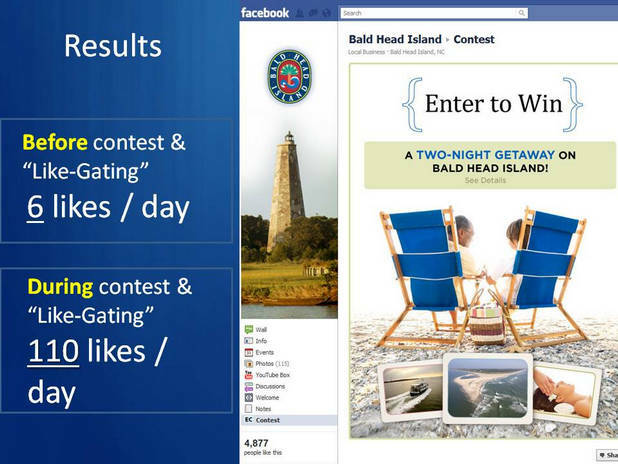 Below is a presentation I gave at SMX West recently that gives a couple of examples of how effective like-gating a contest, or particular tab can be. 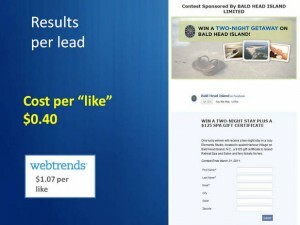 Note: Remember, don’t focus too much on “likes” as if running up your numbers are the answer, you still need to engage your fans, compliment them for “liking” your page, but in the end, you are not twisting their arm, nor asking them to give you their blood type, but just to “like” your page so they can see the content behind…They can easily “un-like” your page instantly. 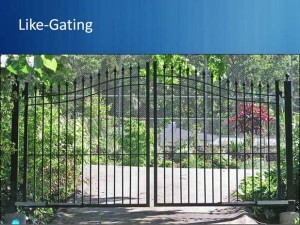 Ok, here we go! 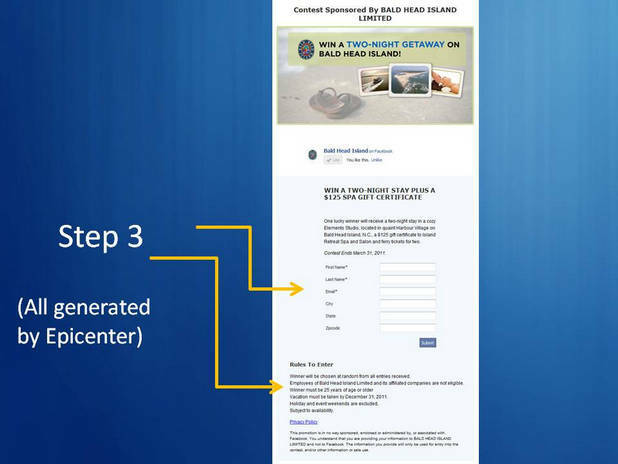 In a previous post here, we explained what like-gating your Facebook tab or page is, and how to do it, for this post we are going to focus only on results of this option. 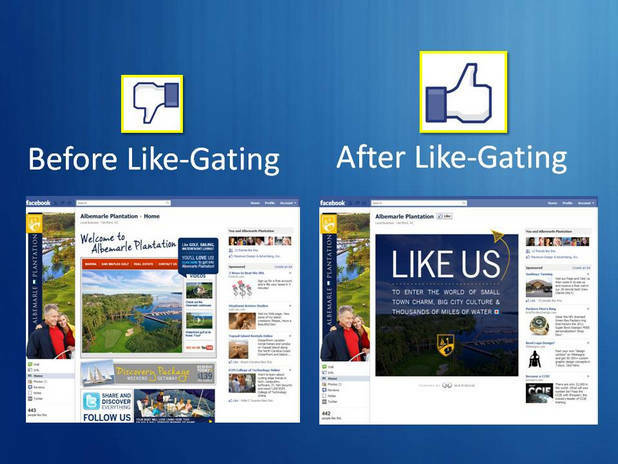 Below is a image of what your default page looks like after you have added the like-gate feature. 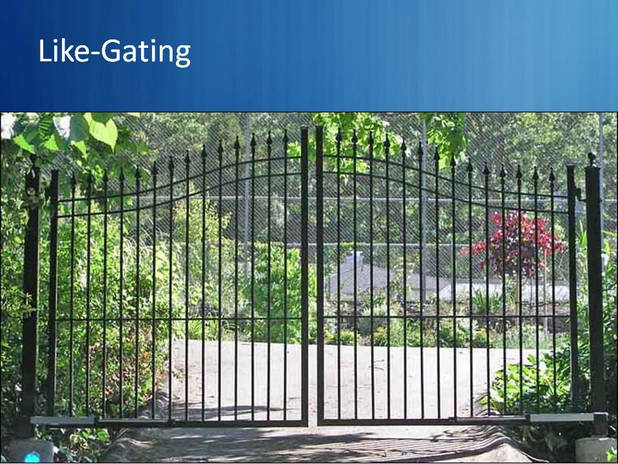 In this slide below, we illustrate how effective like-gating your page can be depending on how aggressive you are with your marketing. 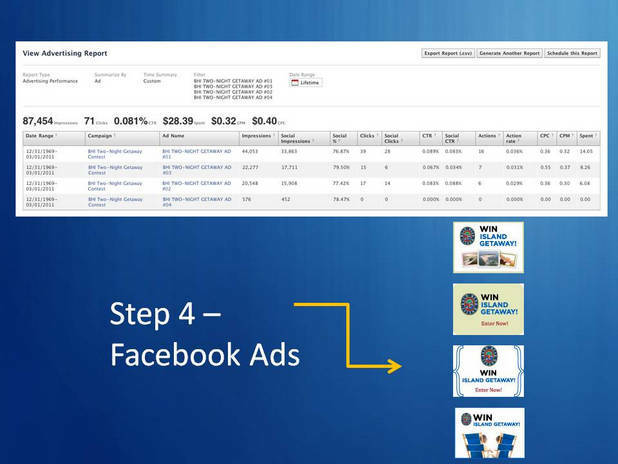 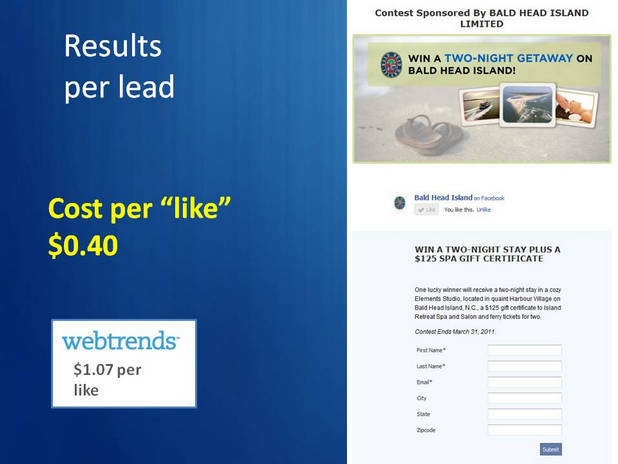 Varying factors result in higher “likes” such as posting good quality stories “content”, launching Facebook ads around your campaign, using your default page as “destination”, and having a viral worthy contest, sweepstakes etc. 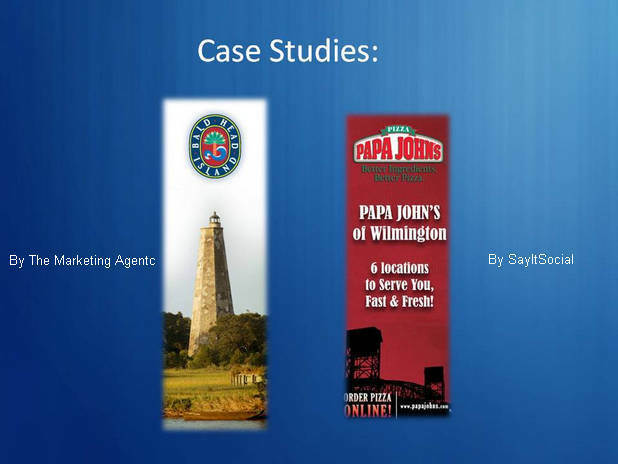 Ok, on with the case studies. 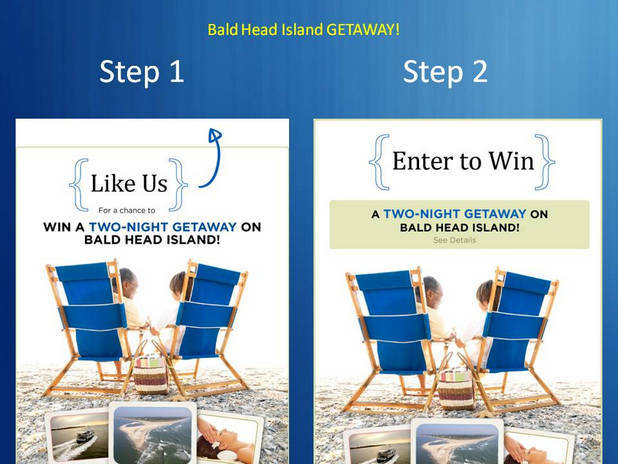 The Bald Head Island campaign was launched by The Marketing Agentc using our Epicenter tool, and Papa Johns by SayItSocial. 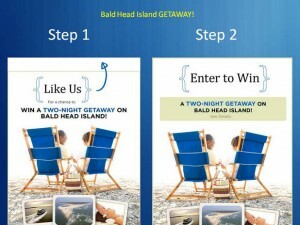 Graphics were critical for The Marketing Agentc’s Bald Head Island strategy. 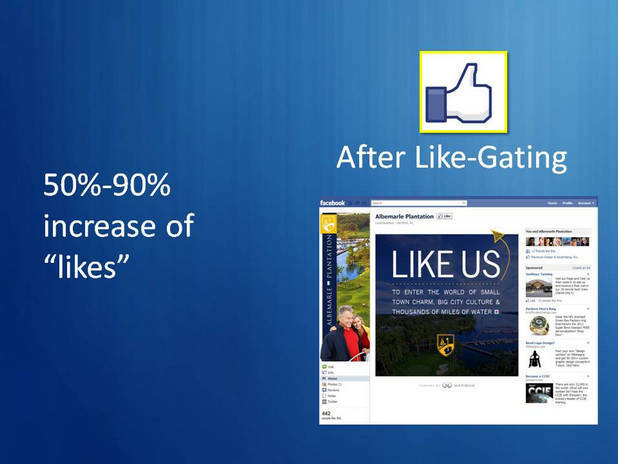 As you will note, it’s important to have high quality graphics, clear calls to action and a like-gate image that remains somewhat mysterious. 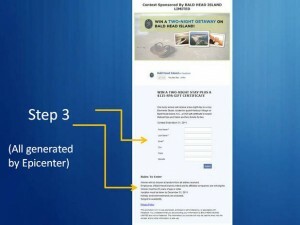 Remember, you want people to click “like” so don’t give away all your details too soon! 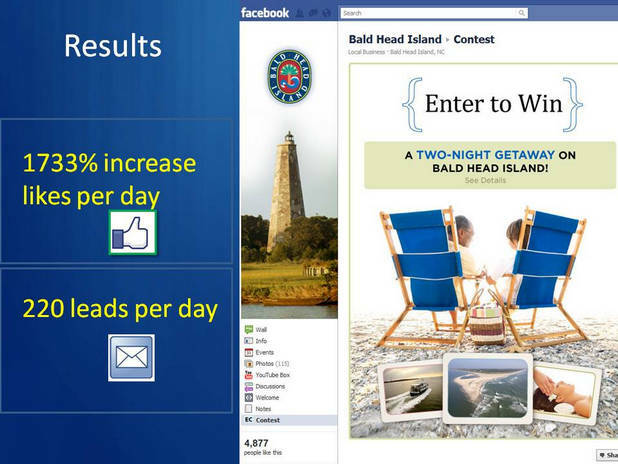 As you can see in these 3 images, the results were very clear how powerful a well thought out strategy can be when you implement “like-gating” around that strategy.